To celebrate the centennial of International Women's Day, Google is hosting a global event addressing issues that affect women and girls all over the world. To mark the day for Google Books, we got to thinking about the role of women in the history of books. Turns out, it was huge. Though it's impossible to compile an exhaustive list, we're highlighting a few individuals who went places no woman, and sometimes no man, had ever gone before in the world of words. These woman made history with their pens, quills and ancient stone tablets. It's tempting to think of the history of literature as one long string of dead, white men that may have seen a little bit of diversifying in the last few centuries. However, scholars widely consider the very first named author in history to be a woman. In ancient Sumeria, the high priestess Enheduanna chiseled 42 devotional hymns for the Mesopotamian moon goddess Inanna and became the world's very first named author. Sometimes identified by the first line of her major work Lady of the Largest Heart, Endheduanna may not be a household name but scholarship about her abounds. For more ancient, Babylonian, mystical goodness, you may want to check out Inanna, Lady of Largest Heart by Betty De Shong Meador, or translations of her work by award-winning poet Jane Hirshfield, Women in Praise of the Sacred. The Dark Ages are called the Dark Ages for a reason. After the flourishing of art, culture and innovation in the Classic Period, Western civilizations' cultural output virtually shriveled up for hundreds of years. However, in small pockets of Europe, some loners (often monks) were taking quills in hand and producing written work. A German nun named Hrotsvitha filled the ranks of those who toiled to keep cultural traditions alive and became what many consider to be the world's first female playwright. 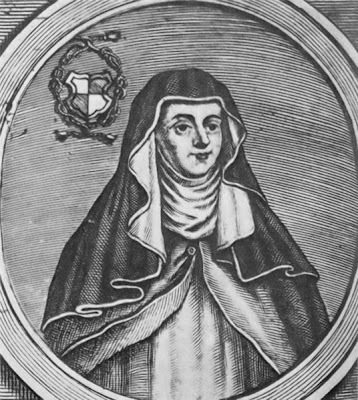 Though she spent most of her life in a Catholic monastery in Gandersheim, Hrotsvitha had a taste for more global scholarship and read many Roman greats: Virgil, Ovid and Horace. According to some scholars, she had a particular fondness for the Roman dramatist Terence, which may have single-handedly brought back the five-act play. Was it the Dark Ages for Black Death-afflicted? Sure. But for aspiring nuns-turned-playwrights, I think not. Some of her plays, translated in English, can be found in Larissa Bonfante's The Plays of Hrotswitha of Gandersheim. Considered by many to be the world's first novel, The Tale of Genji is an elegant and lyrical Japanese pot-boiler, chock-full of evil spirit possessions, adulterous affairs, child abductions and a haiku slam or two. Determining the exact authorship of this classic work has plagued literary historians for decades. However, the name most commonly associated with Genji is that of Murasaki Shikibu, an imperial maid of honor during the Heian period. Supposedly, Murasaki's father once stated that he admired his daughter's intelligence but wished she hadn't been "born a woman." A thousand years later, scholars all over the world still read Genji and the Bank of Japan recently issued a 2000 Yen in Muraski’s honor. Yeah, too bad she was born a woman. One of the first women in history to make a living from writing, Aphra Behn produced some of the English Restoration's steamiest "amatory fiction," but she may have lived a life more scintillating than even her scandal-filled prose. After the death of her Dutch merchant husband, Behn became an international woman of mystery when she served as a spy for King Charles II. Living under the assumed identity "Astrea," Behn worked to seduce—and subsequently gather covert recon—Dutch intelligentsia during the Second Anglo-Dutch War. Apparently spying didn't pay too well then, because after her stint in espionage, Behn landed in debtor's prison. To get herself out of jail and debt, she used material from her life experience to pen over 20 saucy and hugely popular novels, plays and short stories. One of her most read books, Love-Letters Between a Nobleman and His Sister, chronicled a tortured affair between a brother and sister-in-law with so much gender confusion, taboo eroticism and political intrigue that it might put The Girl Who Kicked the Hornet's Nest to shame. 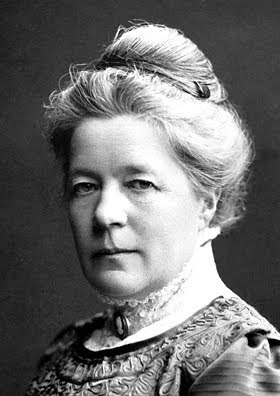 Swedish author Selma Ottilia Lovisa Lagerlöf became the first woman to receive the Nobel Prize in Literature in 1909. The Nobel Foundation lauded her "in appreciation of the lofty idealism, vivid imagination and spiritual perception that characterize her writings." Her most widely known work of fiction, Nils Holgerssons underbara resa genom Sverige (The Wonderful Adventure of Nils), narrates the tale of a boy who entertains himself by mischievously troubling farm animals. Nils also finds himself dwarfed, bestowed with the ability to communicate with animals and riding a magic goose on a magical journey to distant lands. The Swedish people love the story so much that their 20 krona banknote depicts an image of Nils Holgersson, riding a goose over the vast plains of Scania on the one side, and Lagerlöf's portrait on the other. A majority of her popular works, including Jerusalem, Gösta Berling's Saga, have also been adapted into films. The 100th anniversary of International Women's Day is an apt opportunity for us to look back and celebrate the profound influence of these often unsung female stalwarts. Without the pioneering work of Enheduanna, Hrotsvitha, Lady Muraski, Aphra Behn and Selma Lagerlöf (not to mention: Virginia Woolf, Jane Austen, Margaret Atwood, Toni Morrison, Doris Lessing, Emily Brönte, Charlote Brönte, Willa Cather, Edith Wharton, Pearl S. Buck, Frances Burney, George Eliot, Amy Tan, Eudora Welty, Gloria Steinem, Louisa May Alcott, Agatha Christie, Flannery O'Connor, Emily Dickinson, Anne Frank, Mary Shelley, Sylvia Plath, Alice Walker, Harper Lee, Danielle Steel, J.K. Rowling and many others), who knows where we might be?